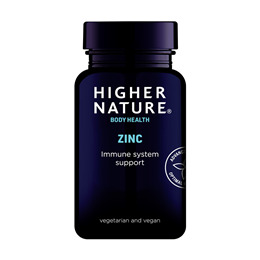 This supplement provides your body with Zinc in citrate form for high bio-availability (better absorption), plus Copper in the correct ratio. Zinc is an essential mineral that is found in almost every cell. It stimulates the activity of approximately 100 enzymes, which are substances that promote biochemical reactions in your body. Zinc supports a healthy immune system, helps maintain your sense of taste and smell and is needed to maintain healthy DNA synthesis. Zinc also supports normal growth and development during pregnancy, childhood, and adolescence. Who may need extra zinc? Vegetarians may need as much as 50% more zinc than non-vegetarians because of the lower absorption of zinc from plant foods, so it is very important to include good sources of zinc. The body needs copper to support healthy growth and maintain optimum health. Copper is needed to help your body use iron. It is also important for supporting healthy nerve function, bone growth and to help your body use sugar. CONTAINS NO added sugar, salt, starch, soya, wheat, gluten, yeast, lactose, dairy products, artificial preservatives, colours or flavourings. Natural lithothamnion calcarea; zinc citrate, copper glutonate, anti-caking agents: magnesium stearate*, silicon dioxide; zein protein coating. Take 1 tablet a day, between meals or as advised by a healthcare practitioner. Below are reviews of Zinc - with Copper - 90 Tablets by bodykind customers. If you have tried this product we'd love to hear what you think so please leave a review. Take these to help keep my immune system in shape and make sure my iron supplement doesn't deplete my zinc levels. Comes with copper which is important, and the tablets are good value. 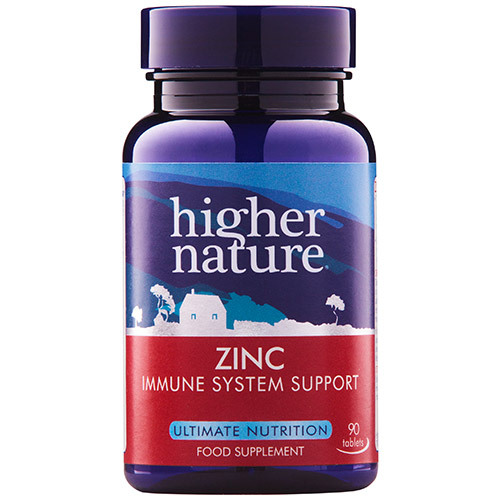 Zinc supports the healthy functioning of the immune system. This supplement provides zinc in the citrate form for high bio-availability, plus copper in the correct ratio.